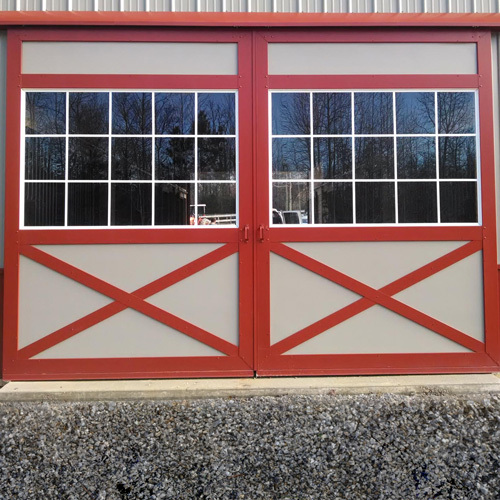 RAMM's glass-paneled, steel frame barn doors are built-to-order and come pre-assembled. There are many different sizes, styles, and powder-coated colors to choose from. 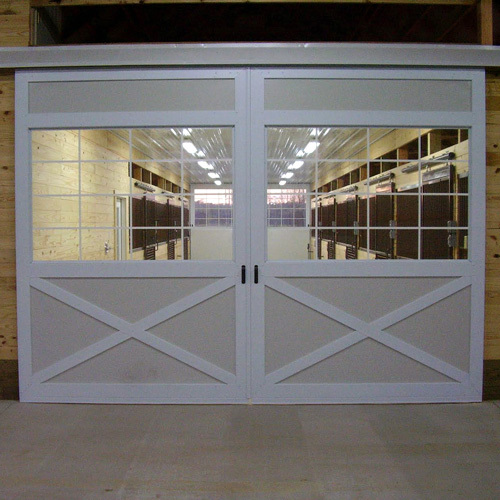 Give your barn that customized look you've been looking for! 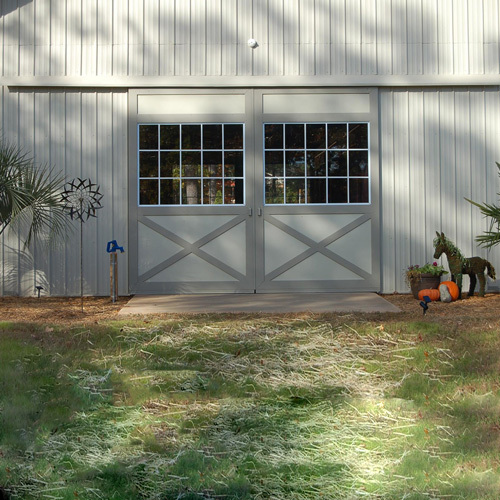 Our steel sliding barn doors will provide you with years of maintenance-free use. They are fabricated from ¾” CDX plywood laminated with 29Ga. Galvanneal steel skins. 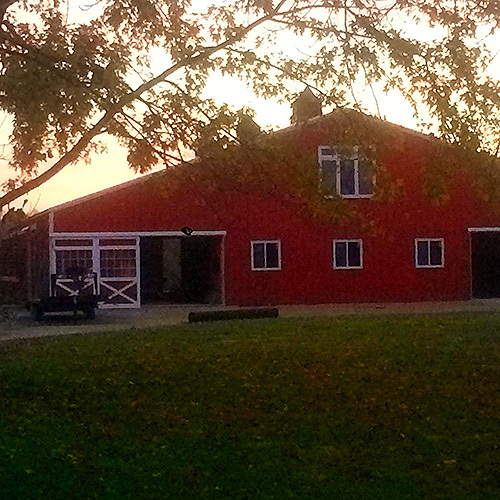 Let natural light into your barn with our tempered double-paned safety glass. Many styles and designs to choose from. Track and hardware package includes stainless steel handles, concealed door guides, door stops, jamb latches, cane bolt, and track covers painted to match with heavy duty trolleys. These doors are available as a single slider, split slider, or hinged. *Note: Coordinating loft doors available as well.